Over the summer I participated in the Victorian Society in America’s Summer School in London. It was a two week intensive course with a focus on the arts, architecture, and decorative arts of the Victorian era. About twenty attended—from graduate students to professors and curators—with backgrounds in preservation, art history, and interior design. We were based in London and did most of our exploring there, but also visited Liverpool, Manchester, Oxford, and Brighton. 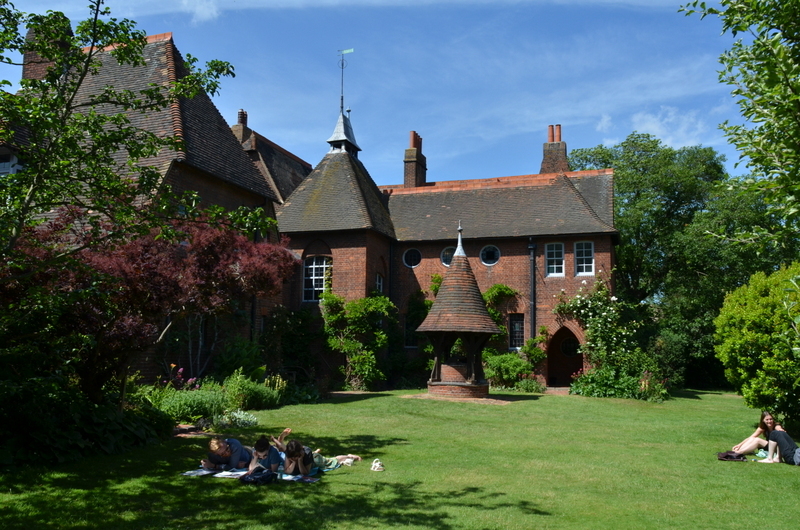 It was a whirlwind, but I visited some very famous museums and house museums, including William Morris’ Red House. One of the first trips we took outside of London was to Brighton, a popular resort town both before and during the Victorian era. We shifted our studies slightly during this outing to the Regency Period. 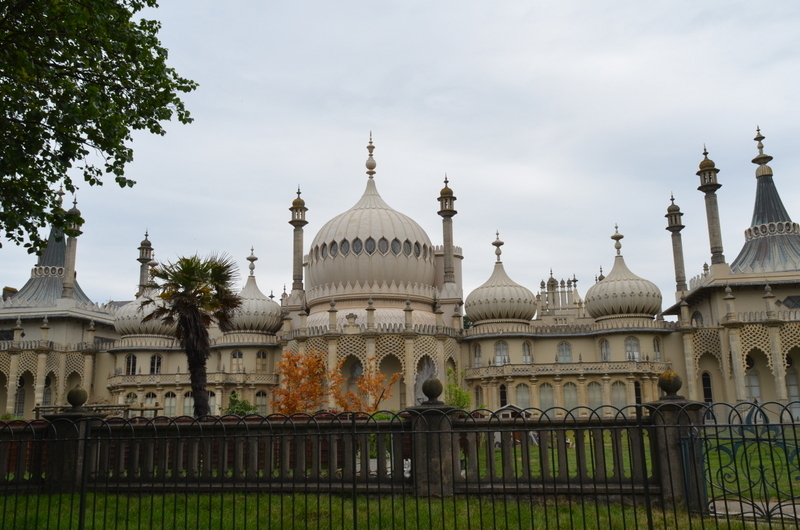 Brighton is an adorable town, and this trip was the highlight of the entire summer school for me. The treat there was the Royal Pavilion, an absolutely fabulous building designed for King George IV as a royal retreat. It is completely over the top, both inside and out. The outside features exotic onion domes and other eastern influences, while the inside is filled with Chinoiserie, iron palm tree columns, and a massive dragon chandelier. One of the rooms covered by an onion dome was under renovation, so we were able to look behind the finishes to see the iron frame and other structural components. After our visit to the Pavilion we visited a Regency-era terraced housing development to see the preservation efforts underway there. The house we visited is being converted into a house museum reflective of life in the 19th century resort town. 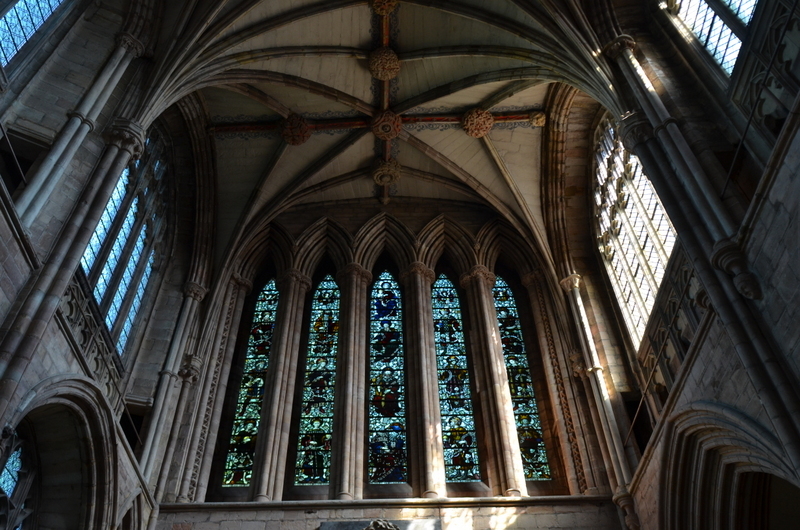 On our trip to the Midlands (an area that was the centre for the manufacture of ceramics n the 19th century (think Minton Tiles)), we had the opportunity to visit the town of Lichfield where the famous three-spired Gothic cathedral stands. 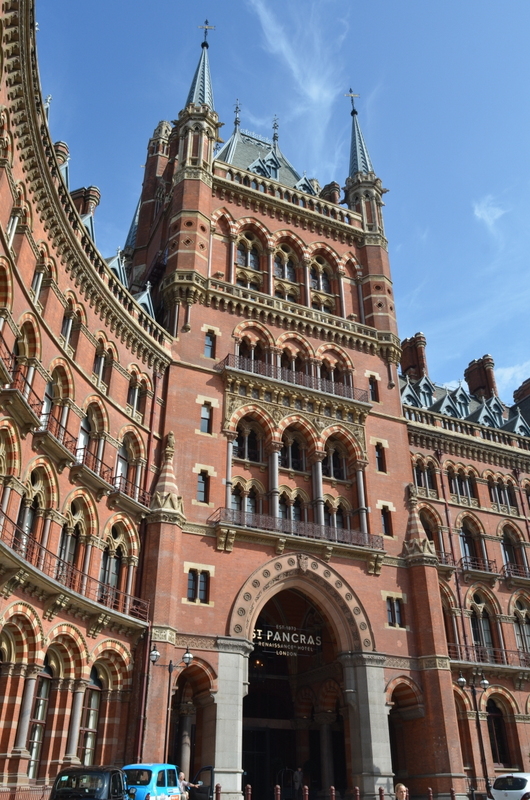 This site was particularly interesting to me as it had gone through a number of restorations, one of which was completed in the 19th century by Sir George Gilbert Scott. 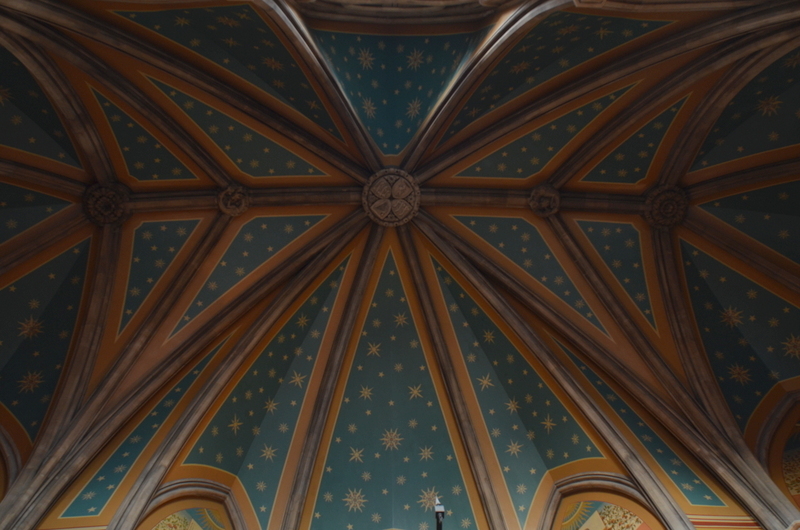 He restored the cathedral by removing some of the previous, less sensitive, and more inventive restoration work. 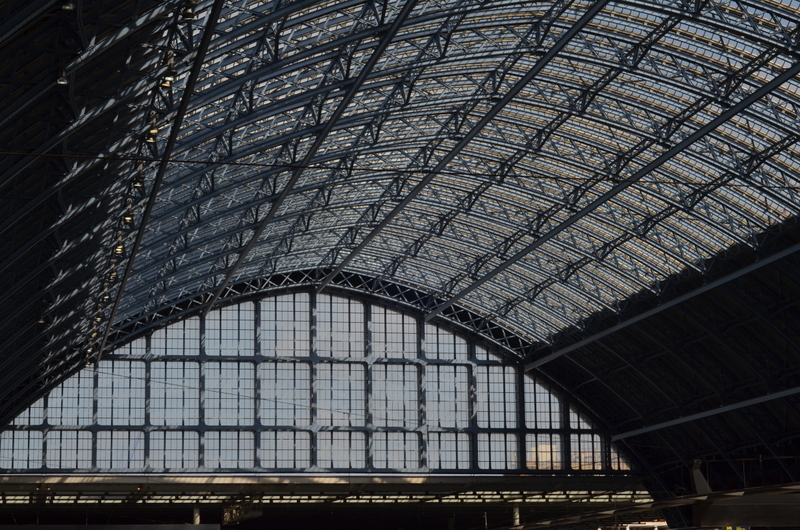 Back in London we made two visits to the beautiful and newly restored St Pancras Station. During our first visit we toured the exterior and the train shed—a gorgeous display of ironwork—and received a history lesson about the building and area. A few days later we returned for a tour of the interior—now a hotel and restaurant—during which time we visited a suite that rents for over 20,000 Pounds per night. We were able to enjoy the terrace of this suite, where we viewed some of the building’s intricate stone carvings up close. Years ago the building was nearly demolished due to changing use, changing building codes, and general neglect, but it is today a London hotspot for dining, drinking, and accommodation. 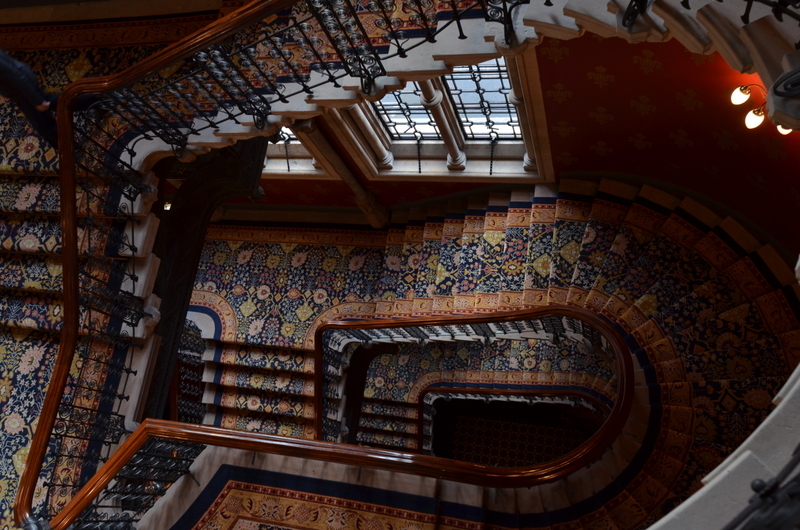 VSA hosts the summer school every year, and I encourage anyone interested in Victorian art and architecture, and especially interior design and decorative arts, to apply. The summer school has fantastic faculty and it was one of the best academic experiences I’ve had!